Will Oculus Rift support on Viveport be global? Will Oculus Rift users be able to access content through individual downloads and through Subscription? Will Viveport support Oculus Go, Gear, or Santa Cruz? Does Viveport have plans to support other platforms such as Windows MR? Can I combine VIVE-compatible and Oculus Rift-compatible titles in one VIVEPORT Subscription? How do I know that a title on VIVEPORT is Oculus Rift compatible? How do I install VIVEPORT Subscription titles to use on my Oculus Rift? How do I install VIVEPORT titles to use on my Oculus Rift? What do I need to play Oculus Rift compatible titles on VIVEPORT? If you’re an Oculus Rift user discovering Viveport for the first time, welcome! It’s easy to set up Viveport and start playing titles on your Rift – but if you need a quick start guide, follow the steps below. You’ll need to download the Viveport desktop app to access your Viveport library, download titles and play them. 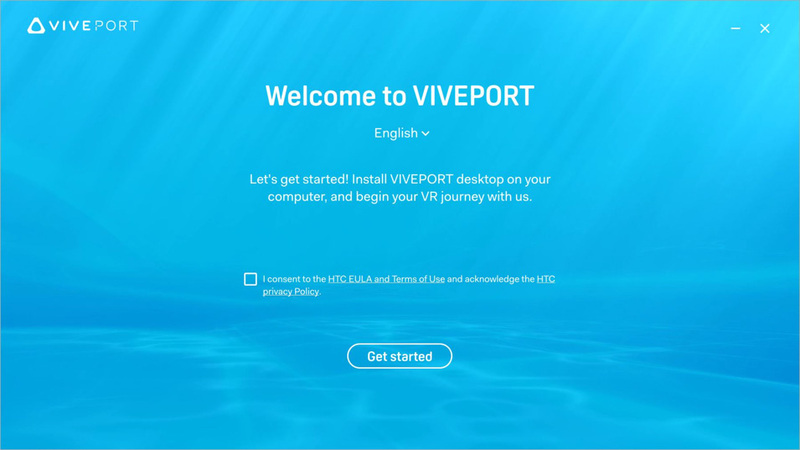 You can download the Viveport desktop app at vive.com/setup. 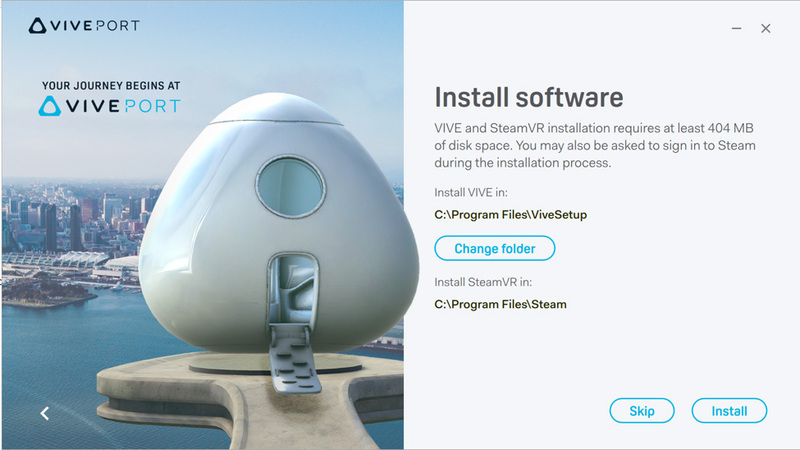 If you already have a Vive or Vive Pro, you may already have Viveport installed (in which case, skip on down to Step Three). 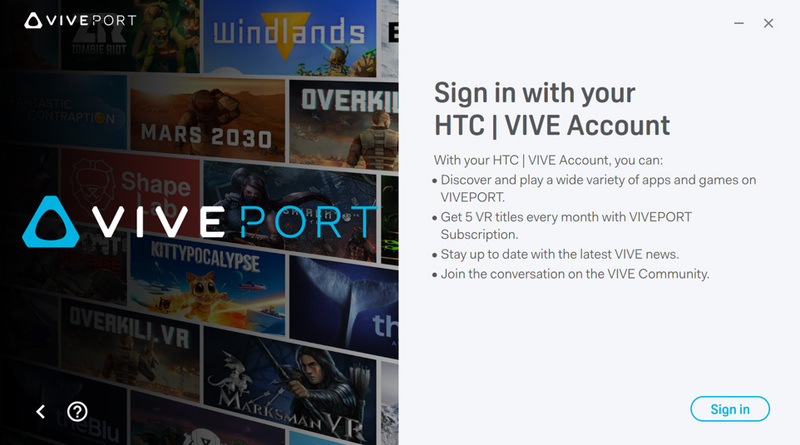 Sign in with your HTC | VIVE Account (or create a new one). Install SteamVR. This will happen automatically, but you may be asked to sign in to Steam during the installation. After installation, you’ll be able to launch Viveport from the desktop shortcut. 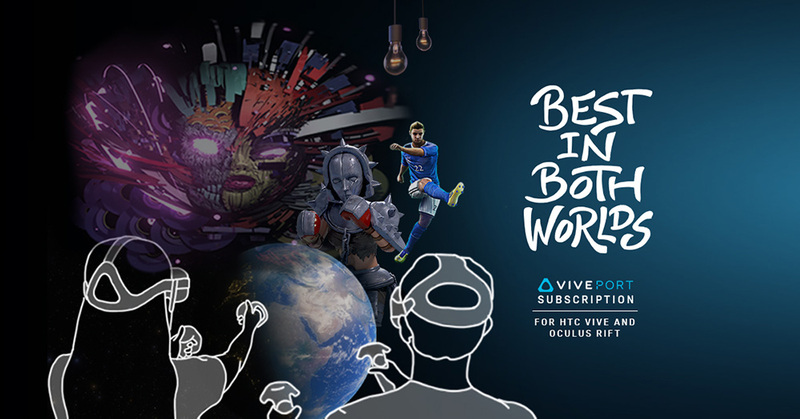 Step Four: Get a Viveport Subscription for the best value in VR! As well as buying individual titles from Viveport, you can sign up for Viveport Subscription for FREE, letting you experience five titles per month for one low price. You can cancel any time, and to really save money, you’re able to pre-pay for your Viveport Subscription with our 3, 6 and 12 month plans. Want a few suggestions for some fantastic Oculus Rift compatible titles available to you in Viveport Subscription? Check out our blog on just that.